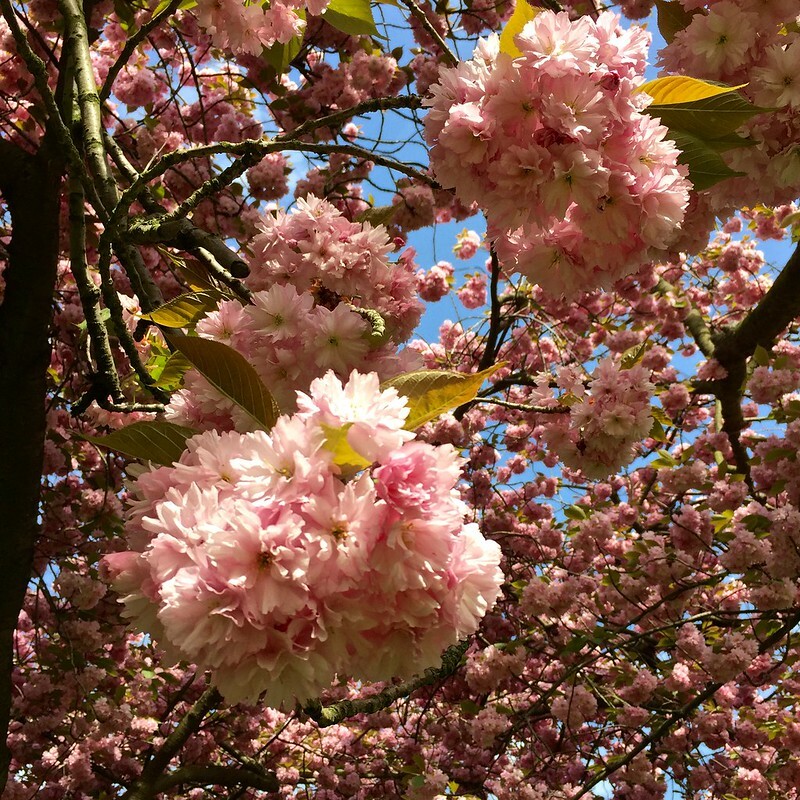 Hanami has reached us from Japan where pretty much the whole country turns out to picnic under the cherry blossom that marks the start of spring. 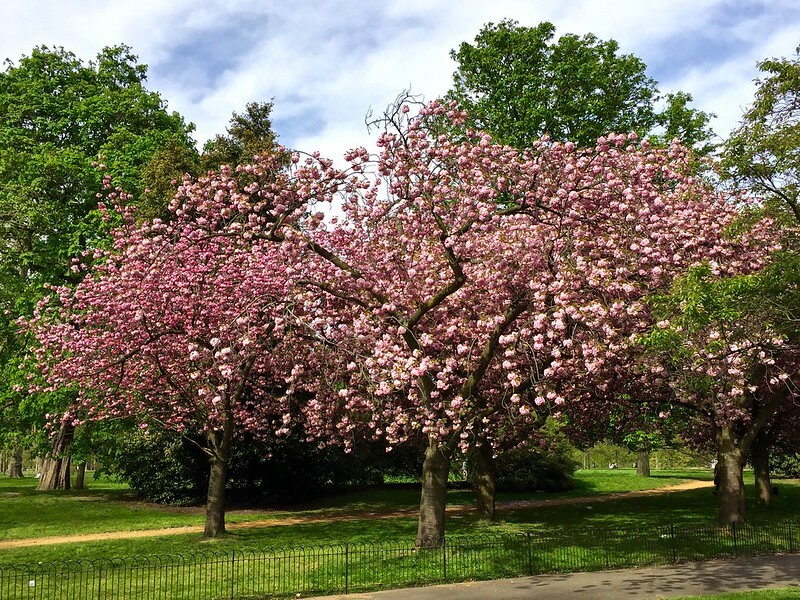 Hanami (which literally means blossom viewing) is a perfect way to enjoy the good weather were having this year (2017), and for Easter weekend Kensington Gardens offers a perfect hanami spot. It’s in the East Albert Gardens, right next to the Albert Memorial so it’s not hard to find. 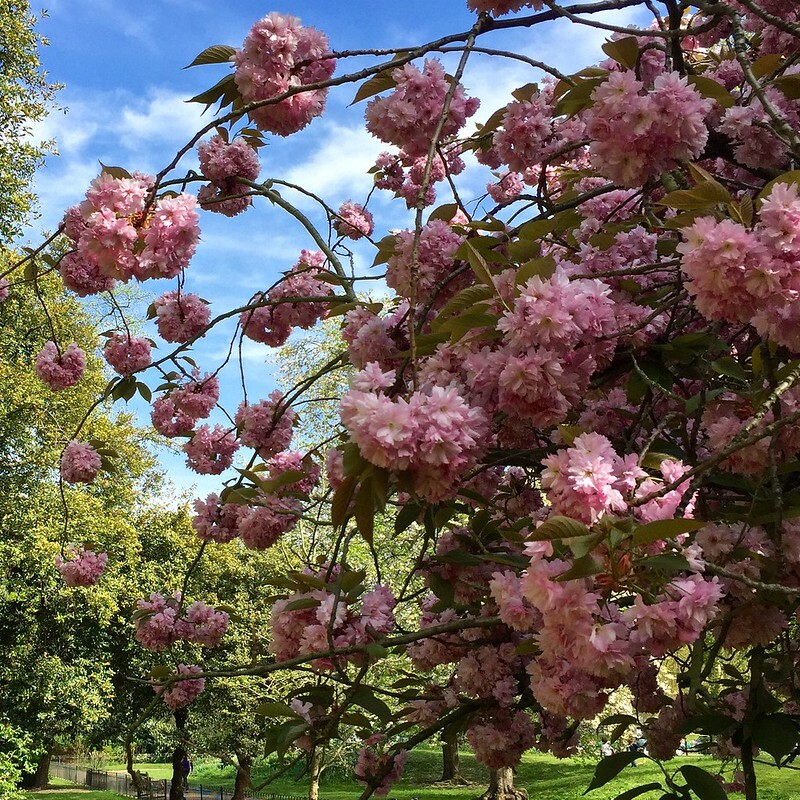 It’s not particularly large – just half a dozen trees, but they’re in full flower right now (12 April) and their deep pink blossoms are amazing in the sunshine. In Japan an essential part of hanami is a bright blue oilcloth to sit on, J-pops playing and plenty of sake. Here we skip those traditions, so just get out there and enjoy the blossom any way that suits you. This little grove has long been the favourite hanami spot for the Japan Society, and you can see why. 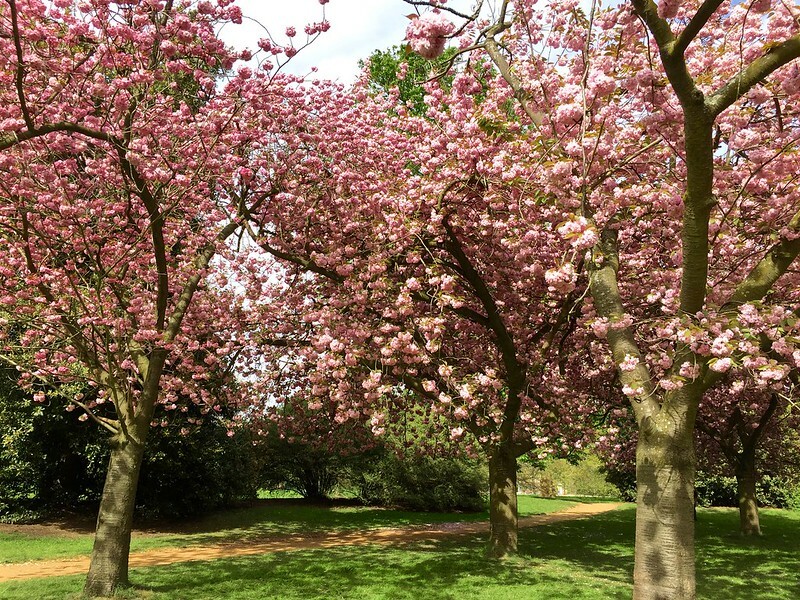 For other places to picnic under the cherry blossom this Easter, see my London Parks Top Five Guide. There’s plenty to choose from! 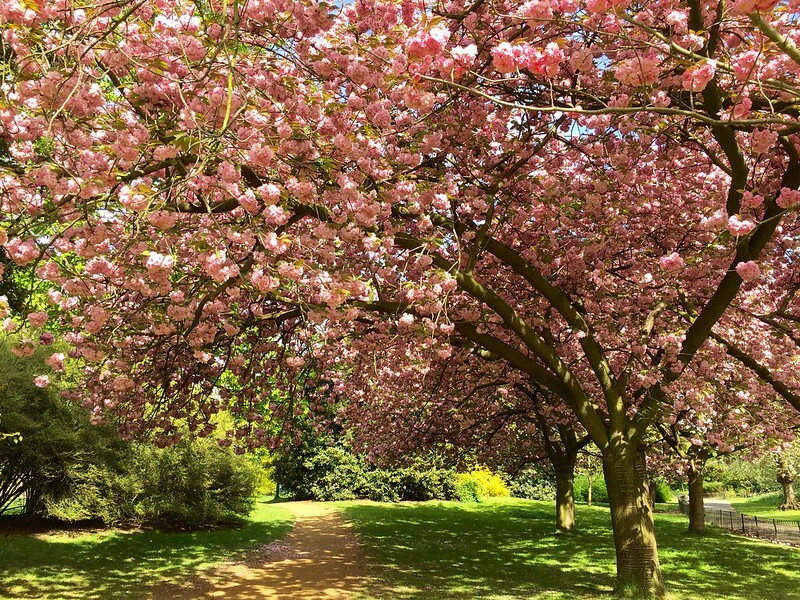 This entry was posted in Cherry Blossom and tagged flowers, gardens, hanami, Japanese, Kensington Gardens, London, nature, plants by Fran. Bookmark the permalink. Ah, hanami. 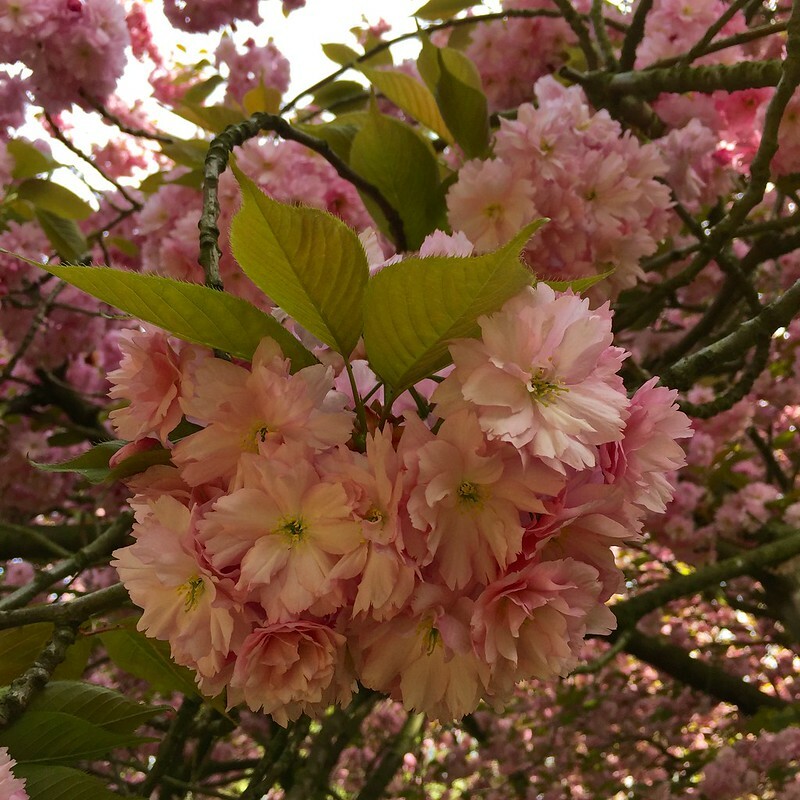 I’ve been enjoying cherry blossoms for the last two to three weeks in three cities. It’s such an awesome event. I had no idea how awesome it is until I took part in it with a friend. Yes, it’s such a great experience! Glad you’re enjoying it. 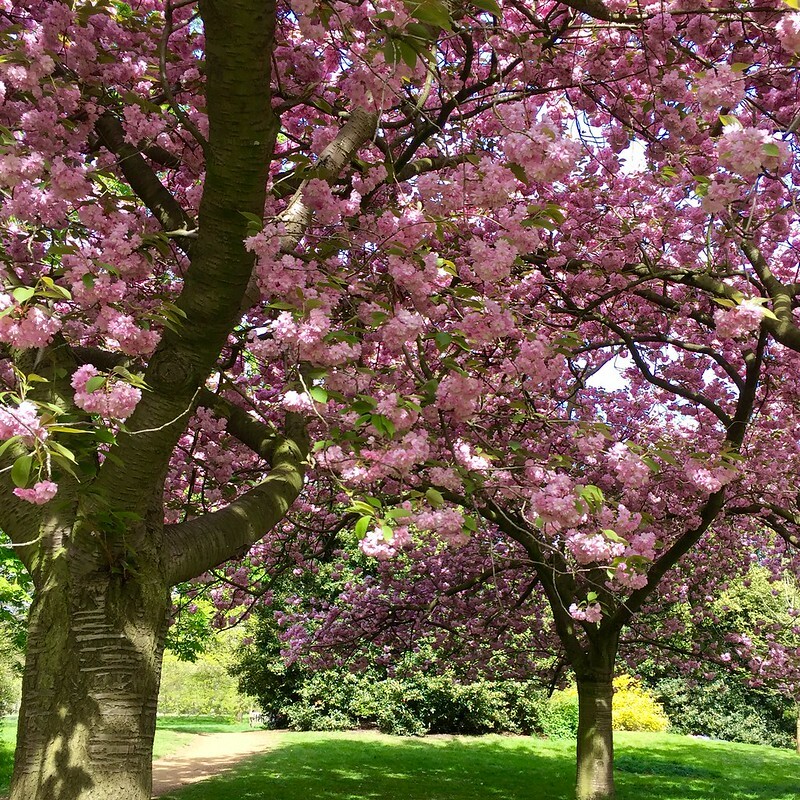 you can never have too many pics of cherry blossom.these are gorgeous!